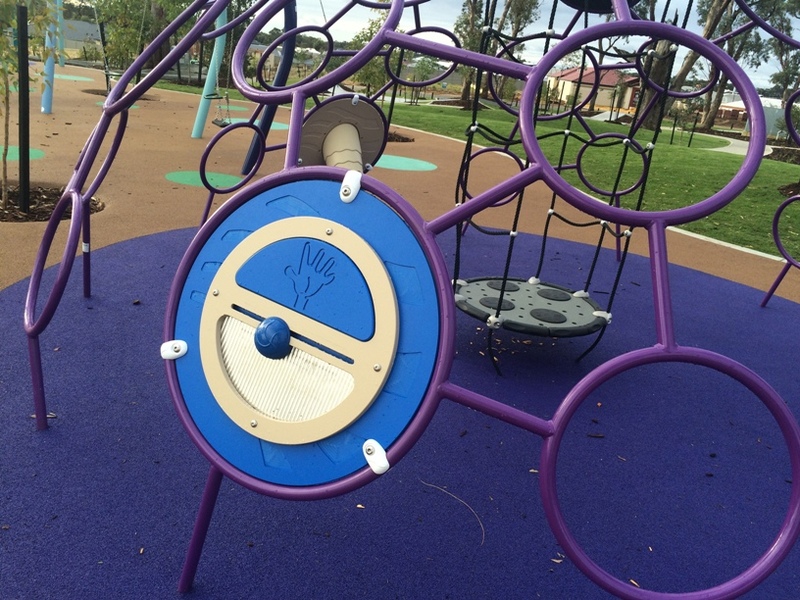 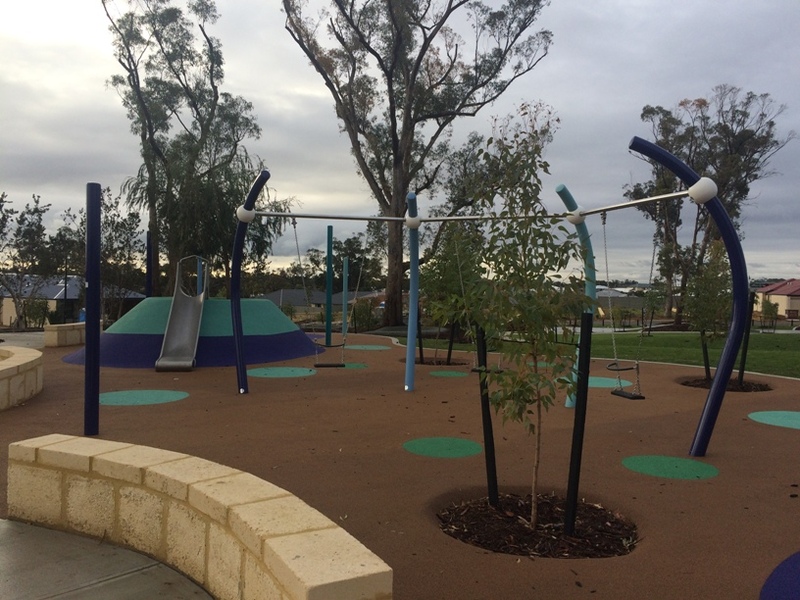 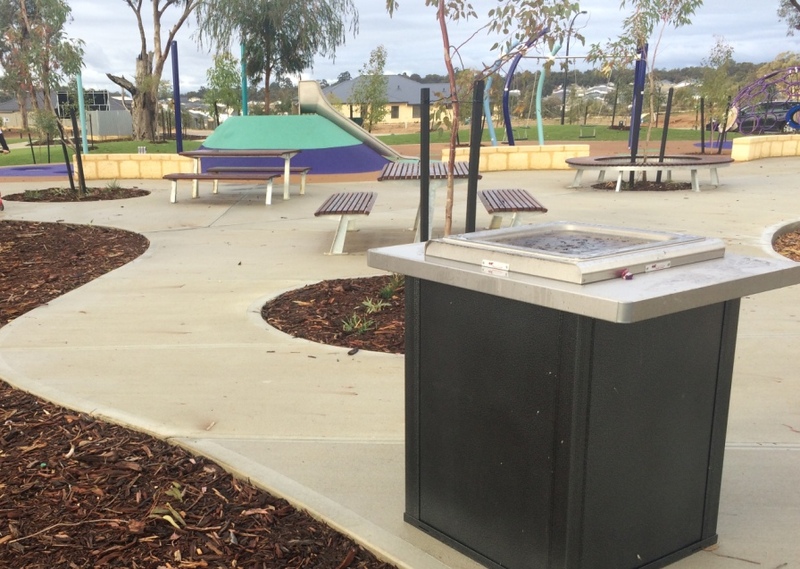 The Village at Wellard Playground is a great little suburban playground with a bmx track and skate park right alongside the playground, making this a great playground for kids of all ages. 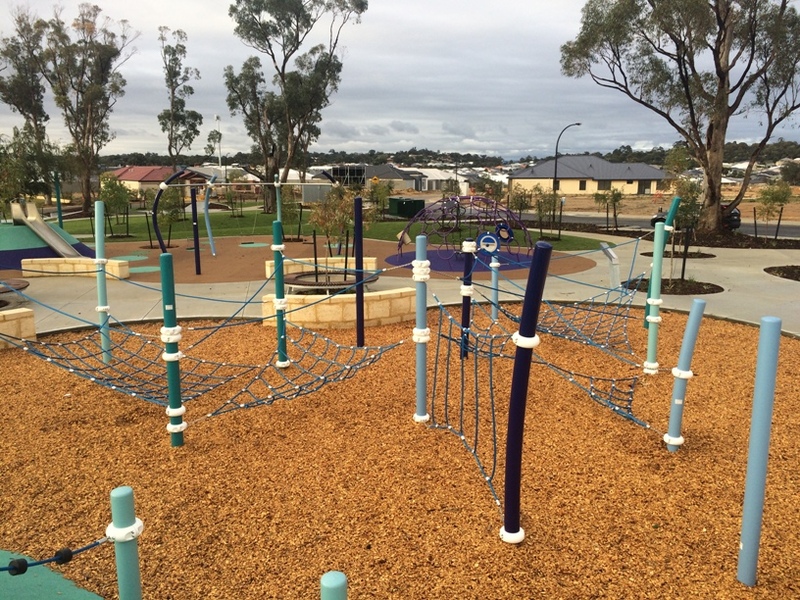 Ropes play is a dominant feature at this park with several ropes challenges including nets and balancing ropes. 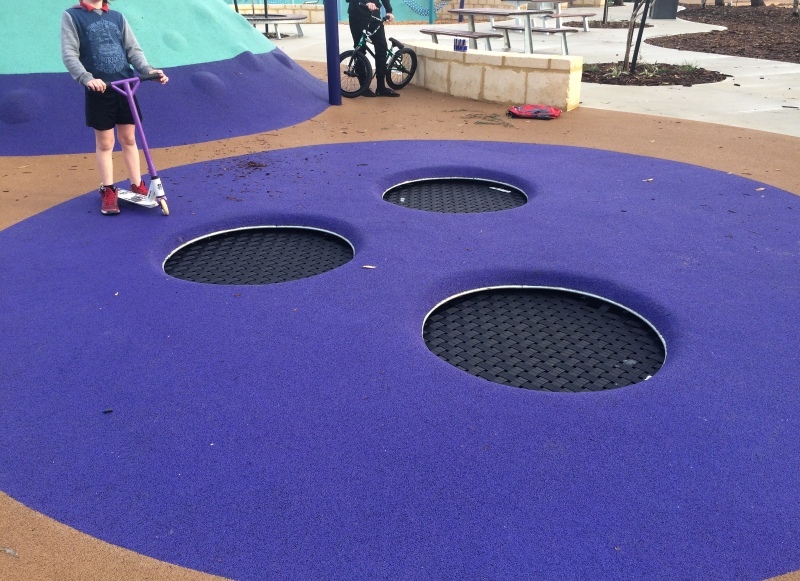 There is also a fantastic climbing dome that has sensory play features around the bottom of it..
Set of three swings and small slide for the little ones. 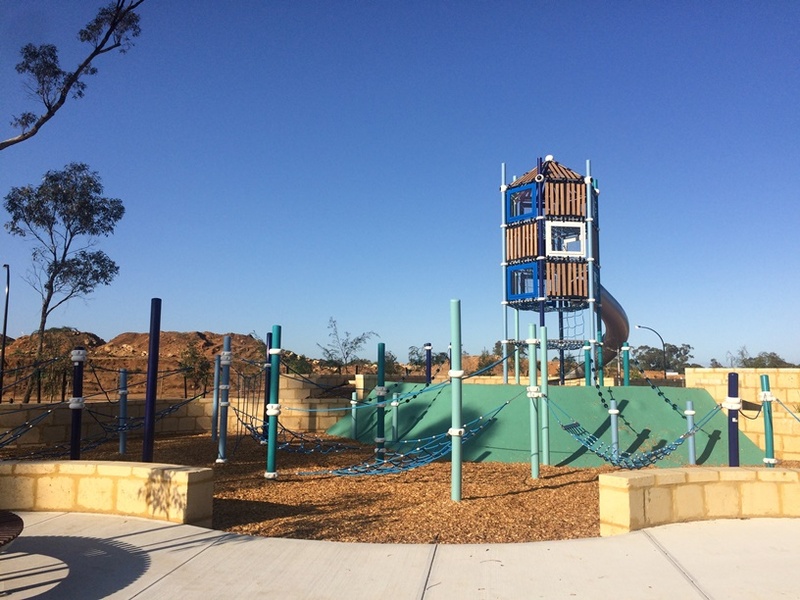 A later addition to the park is a larger slide (7+metres tall) that features a jungle climb to the slide entry, or you can climb another couple of levels up to the top of the tower. 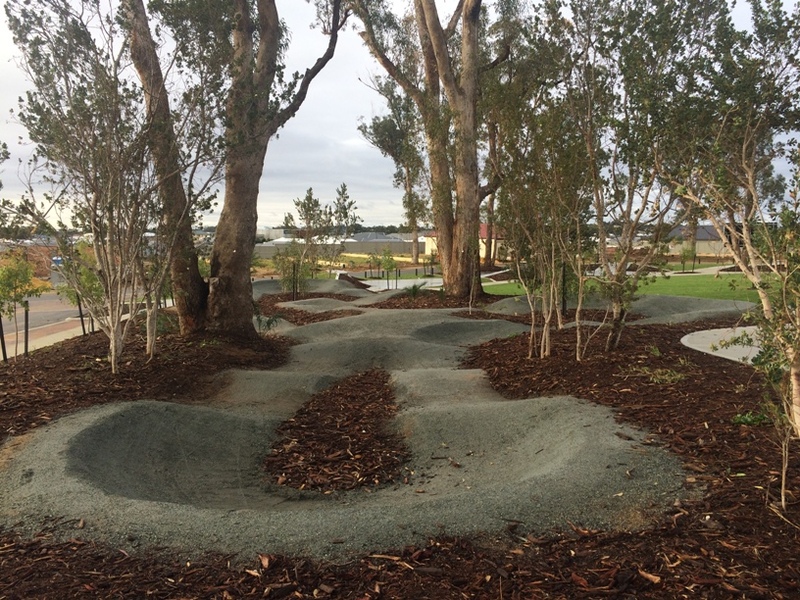 Right alongside the playground is a small bmx track and skate track. 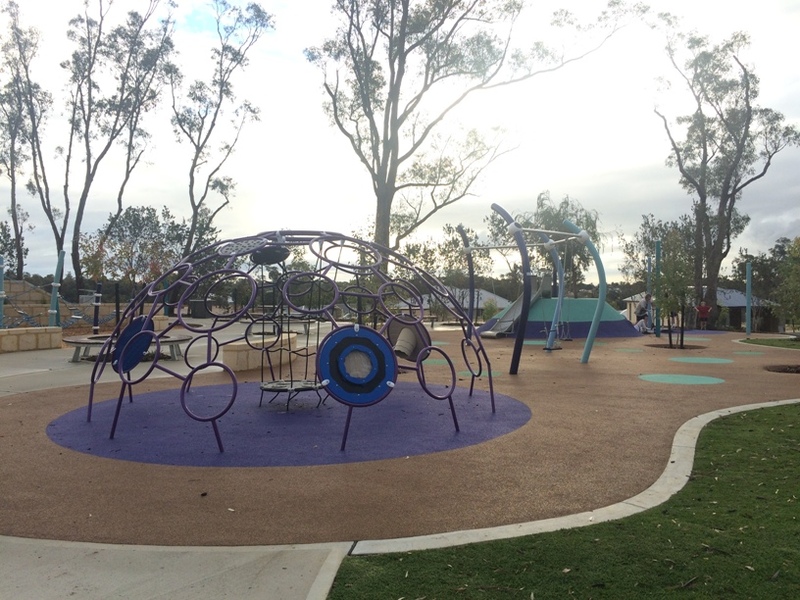 The Village at Wellard Playground makes a great place to meet with friends or to enjoy an evening play, skate and ride. 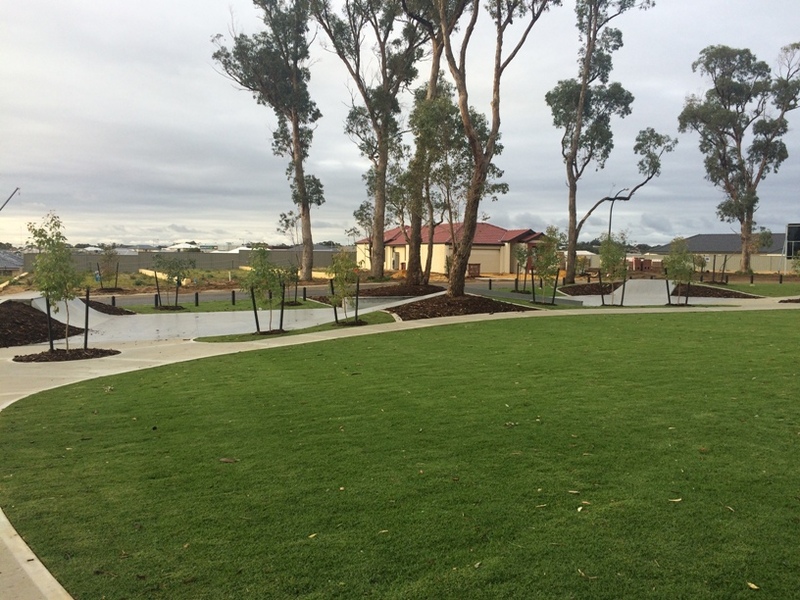 There is a bbq and some picnic tables, but no toilets unfortunately.